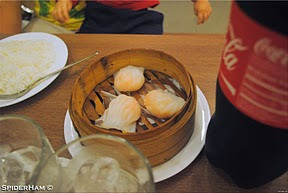 It was a Saturday night when my brother decided to eat out instead of having dinner at home. Our destination for the night, Mann Hann located in SM Mezza Residences. 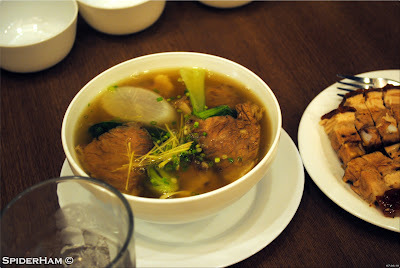 We started our meal with a Beef Noodle Soup, perfect for the cold weather that night. 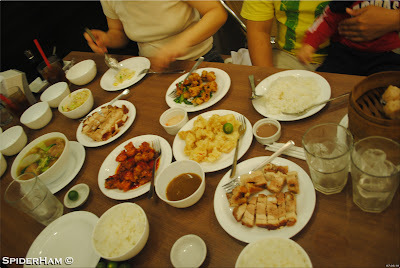 For our main dish we had the Lechon Macau served with the traditional liver sauce. 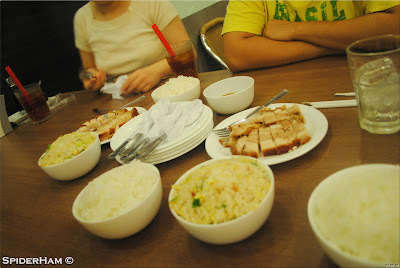 The lechon had a crispy skin but the meat part is soft and tender. 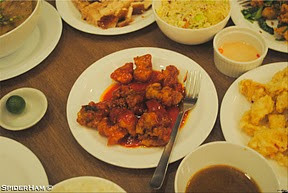 We also had a sample of Sweet and Sour Spare Ribs and its hot version Spicy Spare Ribs. 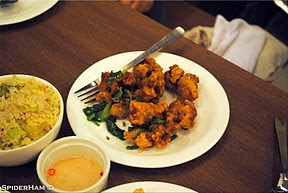 The hot version of spare ribs won't sting unless you have eaten a piece with crushed chili on its breading. 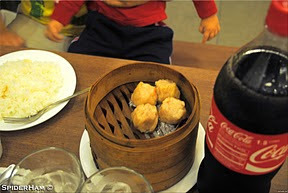 I failed to try Mann Hann's version of Pork Siomai and Shrimp Siomai because I was too busy with the spare ribs. 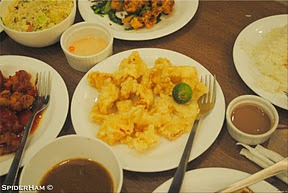 We also had the the breaded squid which I was not able to taste. Unang kain ko jan ay nung college.. sobrang pinag ipunan namin ng todo ni payat. Good for you! It was my first this time.